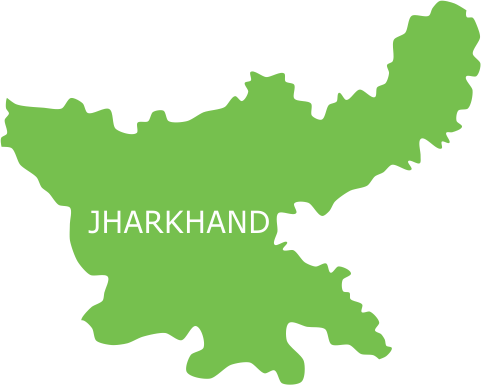 Listed among the poorest states in India, Jharkhand has population of over 32 million with almost 54% of it living below the poverty line. The capital city – Ranchi houses the highest urban population in the state. The health and living condition of the urban poor in Ranchi is dismal. As per reports, infant mortality rate and under 5 mortality rates among urban poor is 50 percent and 58 percent respectively. Also, the percentage of urban poor pregnant women receiving complete antenatal care is as low as 17.5 percent. Healthcare facilities in Ranchi that includes both government and private owned hospitals cater majorly to the economically empowered populace. Not only Ranchi hospitals attend to patients from all over Jharkhand region but also from neighbouring regions of Bihar. This has increased the burden on the healthcare facilities in the district. Unhygienic living conditions, lack of drinking water, illiteracy, poverty and lack of health-seeking behaviour has resulted in the increase of diseases and number of deaths among the urban poor people, especially those who dwell in the slum clusters. People living in these slum clusters generally belong to the lowest economic strata and are dependent on the meagre income that they make as minor farmers and daily wagers. 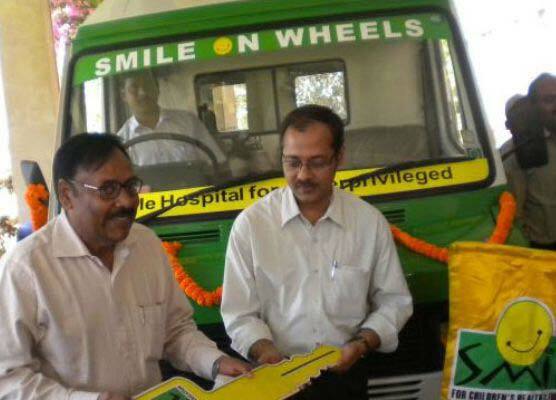 In order to address the healthcare needs of the underprivileged population, Smile Foundation intervened and launched a Smile on Wheels project in Ranchi. The project was initiated in 2013 and being implemented in partnership with Krishi Gram Vikas Kendra. The project seeks to address problems of mobility, accessibility and availability of primary health care with a special focus on children and women in the urban slums and villages of Ranchi district. After identifying the locations and a detailed study on the need assessment, the project was launched and set off for operations. These mobile hospitals use modern, state-of-the-art equipments along with pathological services as well as audio-visual aids for spreading awareness about health issues in the community. The Smile on Wheels team constitutes Project Coordinator, Doctor, Lab Technician, Nurse, Pharmacist, Driver and a Community Mobilizer. General Diseases (fever, cough and cold), blood pressure and diabetes, eye infection, weakness, itching, antenatal care (ANC), gastroenteritis, hypertension, body pain, and skin diseases are the top ten diseases in the descending order which are being treated on regular basis. In addition to these, community awareness sessions are being conducted on vital issues pertaining to child, mother and family health. On an average, over 20,000 children and their families are being catered to with healthcare services every year through the project. On quarterly basis, 45.5 % young mothers and women, 24.5 % children are directly benefitting from the healthcare services provided by Smile on Wheels. Besides curative and preventive health services, Smile on Wheels is also providing promotive services in Angar, Bundu, Namkom, Ormanjhi and Patratu areas, covering a population of 130,000. 150 adolescent girls have been prepared to emerge as ‘Change Makers.’ They have been trained on issues such as anaemia, life cycle approach of an adolescent girl, access to health care, adulthood and motherhood. School children have also been included in Smile on Wheels’ health coverage. Moreover, multi-specialty health camps have been a special feature in addition to the daily mobile health service.